Darice 120-Piece Deluxe Art Set Now Just $8.14! You are here: Home / Great Deals / Amazon Deals / Darice 120-Piece Deluxe Art Set Now Just $8.14! If you have a budding artist in your family, head over to Amazon and order this highly rated Darice 120-Piece Deluxe Art Set Now Just $8.41! Ships FREE on orders over $49 or if you have Prime! 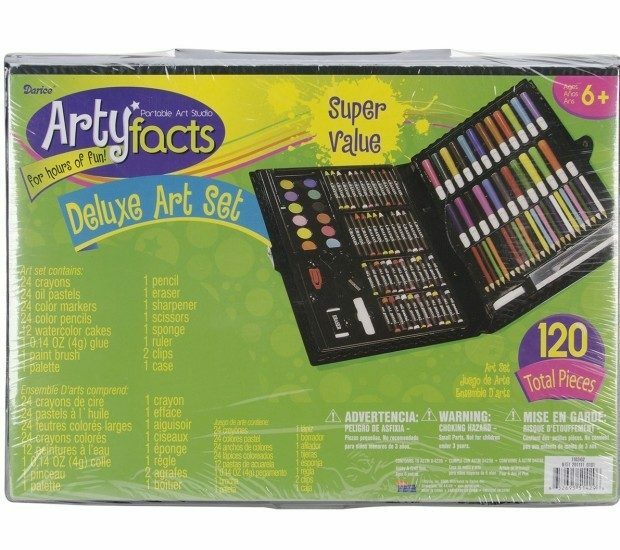 120-Piece deluxe art set with lots of art supplies for drawing, painting and more.